I have been told that with these engines the most important thing is the Exhaust manifold back pressure, as long as the boost is higher you can keep loading it. There are some 220 cdi's running here in cars with 300 HP for many many miles. The yanmars can be easily tuned. they mechanical or electronic? lot of people try to turn the engine rpm equal to gas engines. diesels don't need to turn the high rpm due to torque they generate. i would monitor airbox pressure, temp and exhaust temp along with pressure(drive pressure). i mentioned this so you can make provisions during fabriction. you will need 2 exhaust 1 for each turbocharger. i would prepare for the 16:1 pistons and consider intercooler(water to air) that will greatly reduce stress on engine on long runs. you could source tube bundle and set in intake manifold. cool job. You are right, but... as we all know the bravo drive doesn't like torque, especially not on low RPM, by using the VGT turbo's we can control the torque. The wider the power band the easier you can find a decend prop to generate good top speed & still have good out off the hole. My first diesel experience was 14 years ago, a SONIC 28 with a yanmar 400 HP & Bravo III. A nightmare. Would not plane without NOS and then due to 3800 RPM limitter would only Run 53 MPH. On top off that it eate the drives, 1 for breakfast & 3 for lunch. I gave my tuner a 502MPI dyno sheet, I would like to make similar power & torque. Anyone now if these tube bundle coolers are effective? My Boat: '99 29 Outlaw "The Red Headed Twins"
Love this sort of thing. Thanks for posting and please keep it coming. VMMotori has setup for 4.2 I-6 that mercruiser gets thru cummins. i don't think you'll exceed bravo torque limit, most diesel seem to level off. just remembered sabre marine out of england used to modify ford I-6 (366 ci, 6L) think they called it merlin, made 300 to 450hp and ran hard. last one i saw ran 14hours full power on 40ft(10m?) lobster boat with 5 tons drugs, finally put rod thru block. allways liked the isotto-franchetti and iveco offshore boats back in the 80's. just make sure intercooler is strong, we had hard time with cat 3208's. they had junk setup, thin tabs to hold bundle. Keith - FYI the Sabre diesels from England were the European Ford/Sabre engines, the Merlin/Daytona engines from Fla were based on the Ford Cargo Star truck enignes from Brazil. The English Ford's were a much tougher old style engins than the light duty Cargo Star enignes. Diesel2fast4u - I was keeping quite to see where this went but since coolers are a topic now I have a suggestion. Your enemy is heat as you know when you design the cooler make sure there is plenty of fins like a AC condenser, do not use a big cross sectional area cooler compared to the thickness and use a multi pass cooler ie like two or three seperate cooler stacked each being fed by virgin cooling water. What you need is a big Delta T and regardless of how you design a one source of water in and out cooler you will only get so much heat transfer because the water temp will rise and start to be less effective regardless of direction of water flow you will run out of cool water quickly. Think of a commerical air-handler in a large office building, common manifold of cold water feeding into various coils and then coming back together again. They work on a 15-25 Delta at most, you make yours like I said 2 or 3 independent cores thick and lower the temp vastly. Some people will argue that all that back pressure against so much coil will hurt flow - YES it will. BUT the cooler the air the more dense the less manifolf pressure you'll have and flow is inversely portional to pressure so the lower the pressure (temp) the flow will increase much more than linear. If you'd like to discuss what you're doing I'd love to talk through things out here in the open if you wanted to, I think people love reading these things? Just a suggestion, if you run 3 bars that like 40-45 psi, that's high in any book. I believe you will be best served down in the 11.5-13:1 range. Yes, a little hard to start, might need a ether shot on a cold day. You're talking mechanical compression ratios and not taking into account that with all that air in there your actual ratio under boost will be allot higher. The cylinder pressures are going to be extreme with 18:1 and 43 psi of boost, this is not a good combination for a long lived engine, my opinion. Just some food for thought about what you are doing with the 2 turbochargers for next engine design. You mention exhaust pressure, that is pressure inside the manifold before the turbocharger not exhaust back pressure and you are spot on if exhaust pressure is as high as boost pressure the engine runs rich and flattens out in the power band - that is why the comment the diesel torque curve goes to a point and stays semi flat, by design standard engines get to a point where they stop breathing and are neutral. 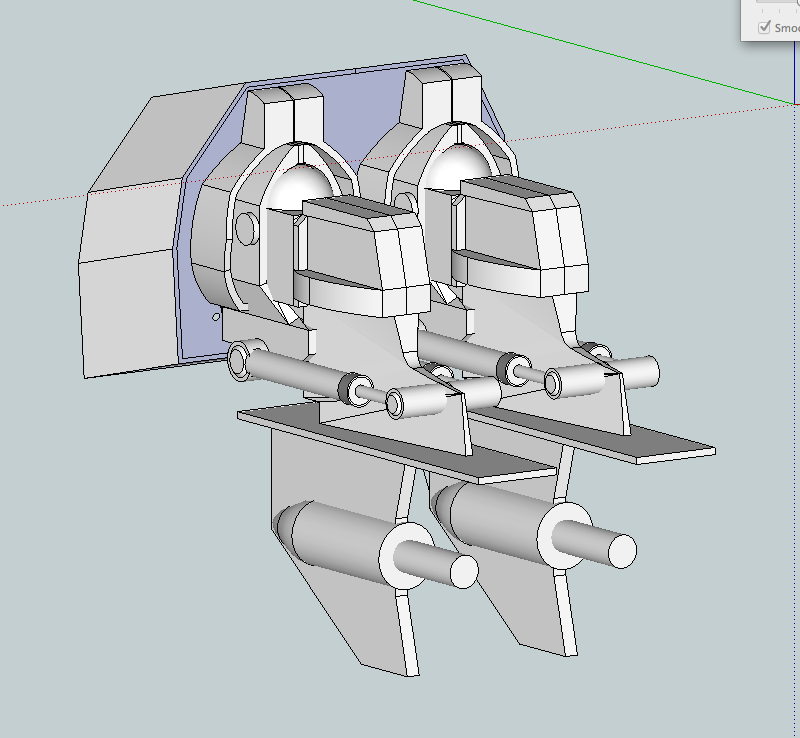 A better route for two turbo-chargers might be where the two turbos are mounted in parallel and not separated like you have them. 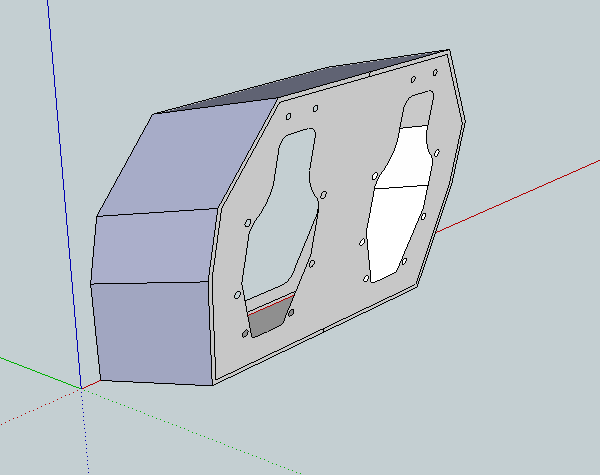 What you need to build is a gate between the two turbo chargers so only one works are lower speeds and you can open the gate and allow both to run when at higher speeds. This is old school (not compound) and by doing it you cut your exhaust manifold pressure in half when open and doubles the amount of air flow, not pressure but CFM's and will allow the engine to breath much better. This is not new it's old racing SeaTek and Isotta stuff. With the VGT's you accomplish some of it and you can dump xhaust pressure with a waste gate as well but with the twin in parralel and gated you won't be dumping energy you can use - just a thought to throw around next time? i dont know squat about diesel,s,but i find this thread very interesting.